Have you noticed sudden decrease in performance in your PC or your smartphones, these sudden optimum performance are caused by virus, malware,worms etc. So we present to you a strong antivirus known as Avast antivirus which is one the most powerful and secure antivirus in the world, with more than 50 million download and counting in Google play now they have just launched the 2014 edition of their antivirus known as Avast 2014. The antivirus Avast 2014 comes in four variations which include the Avast Free Antivirus, Avast Pro Antivirus, Avast Internet Security and Avast Premier which is the complete package. and comes in more than 40 languages. 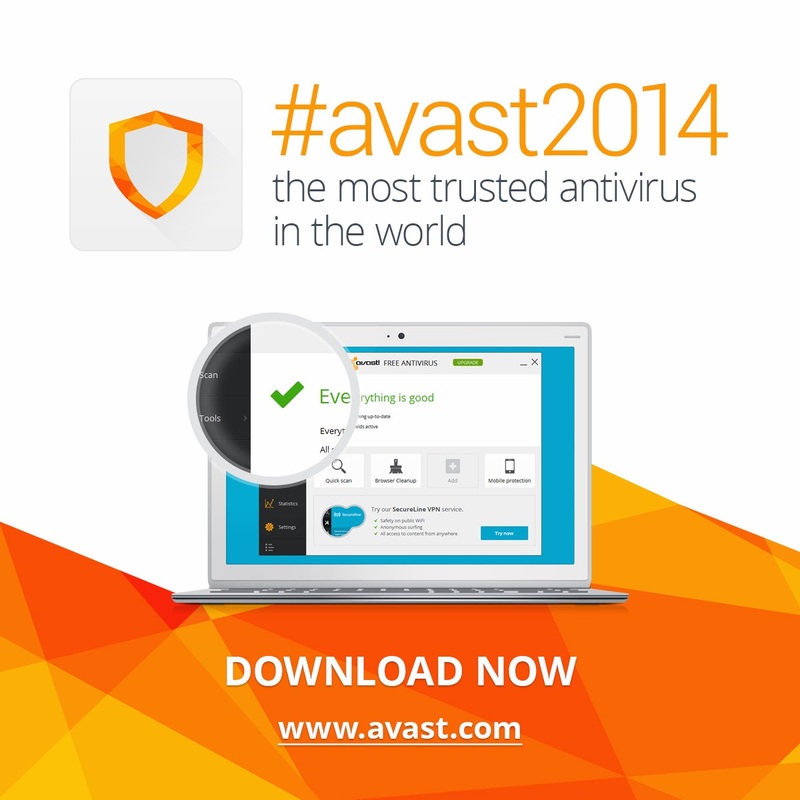 The 2014 edition of avast antivirus features a new protection option made for average users known as Hardened Mode,which relies on Avast's file reputation cloud service which uses the crowd gathered information about harmful apps from more than 200 million devices powered by Avast products. It helps to keep the PC safe by making sure that only safe files are installed and run on the system. Another new feature in the 2014 product is Rescue Disk which tries to extend the functionality of the security plan by creating a boot-able storage file which can be used to scan and clean infected systems.